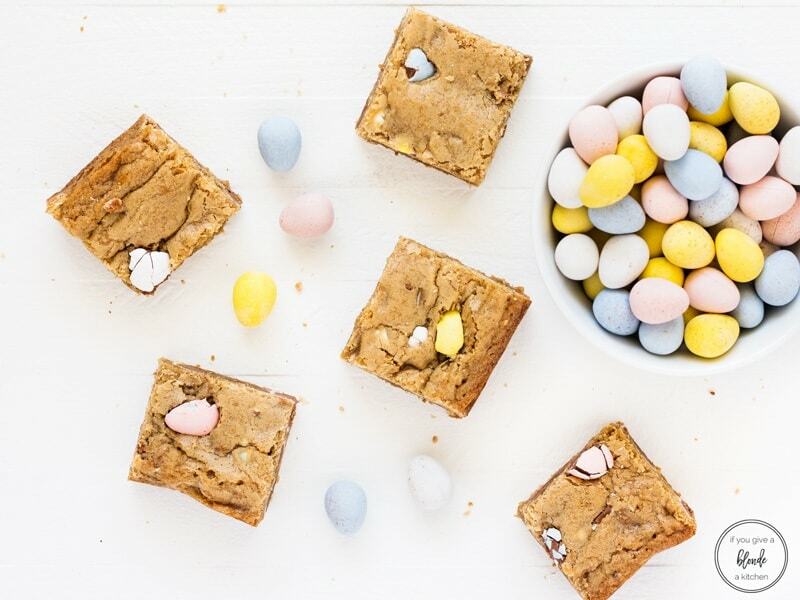 Mini egg Easter blondies are an easy dessert to make this spring. Stir in chocolate Cadbury mini eggs for an Easter surprise! Can you believe Easter is only one week away? Feels like it was just Valentine’s Day! For dessert this year I’m making these mini egg Easter blondies. Let me start of by admitting my total and complete obsession with Cadbury mini eggs. Also, note that these are the mini eggs not the cream filled ones (yuck, in my opinion). These mini eggs have the hard candy coating with thick chocolate on the inside. I figured they would be the perfect mix-in for blondie bars! I don’t make blondies often enough. The last time I did was when I made Nutella blondies and they were unreal. For Easter, I added mini egg candies to the batter. I’m starting to see a pattern developing. I need chocolate in my blondies! Even with the chocolate, you can truly taste how the brown sugar and butter meld together to create sweet and flavorful bars. I chopped up the Cadbury mini eggs so there are chocolate bits in every bite. I even added a few whole ones on top for a tasteful finish. 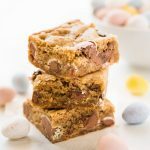 Whether you’re trying to get spring here sooner or you’re looking for an Easter dessert, these mini egg blondies will do the trick! Preheat the oven to 350°F. Line an 8-inch by 8-inch pan with parchment paper and set aside. In a large bowl, whisk together melted butter and brown sugar until combined. Add egg and vanilla and mix well. Add the flour mixture and stir just until combined (careful not to overmix). Fold in chopped mini eggs. Transfer batter to prepared baking pan. Bake for 25 to 28 minutes or until a toothpick inserted into the center comes out clean. Cool and cut into squares and serve. 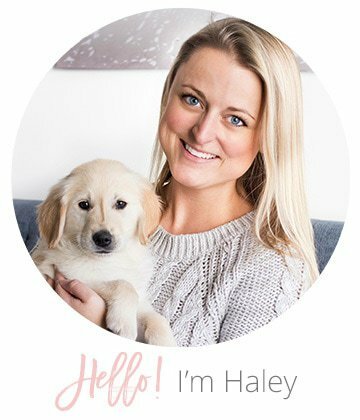 Your pictures are so pretty! Love the pastel colors for Spring. And those blondies… Look so gooey and delicious. Amazing! Thanks for sharing! Awesome video. I would eat these for any holiday — or any day! Yum! Those blondies look so good and with those little Cadbury eggs they are a winner. Thank you! These are just beyond perfect!!!! I have got to make something for the Easter raffle at school and I am thinking these will be perfect!